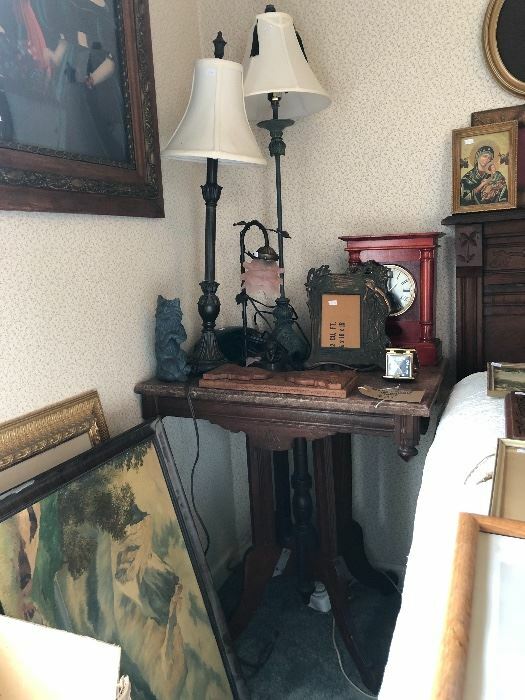 Antique Eastlake Style King Bed with Corresponding Nightstands and Dressers with Marble Tops, Huge Collection of Large Royal Doulton Toby Mugs, Including Santa and Elvis Mugs, Schwinn Airdyne Stationary Bike, Vintage Paper Ephemera, Cast Iron Banks, Vintage Green Armoire, Large Antique Copper Wash Basin, Vintage Oldsmobile Clock, Vintage Seth Thomas, Vintage Seikosha Clock, Vintage Framed and Framed Art, Robert Kennedy Ephemera, Antique Gas Lamps, Vintage Peacock Lamp, Closet with Ladies New and Vintage Clothing. 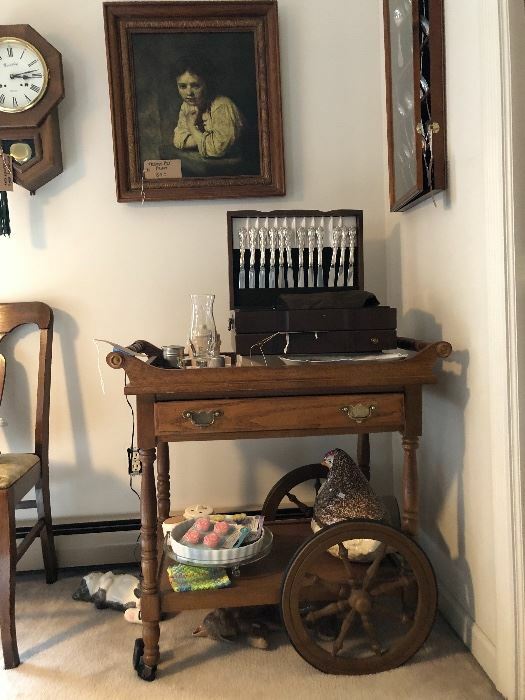 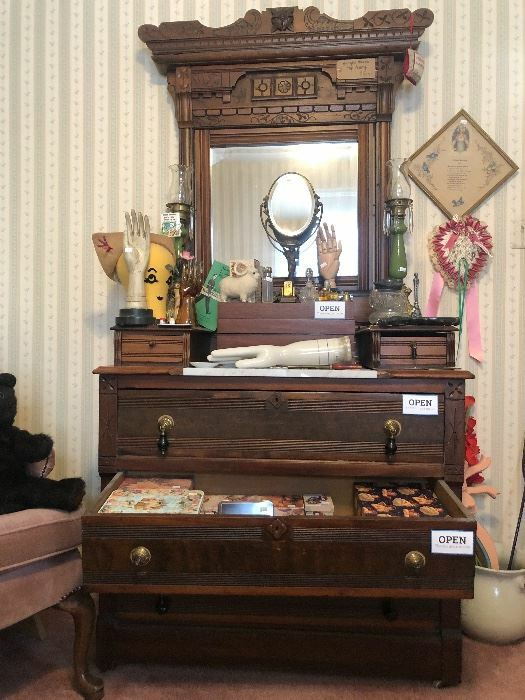 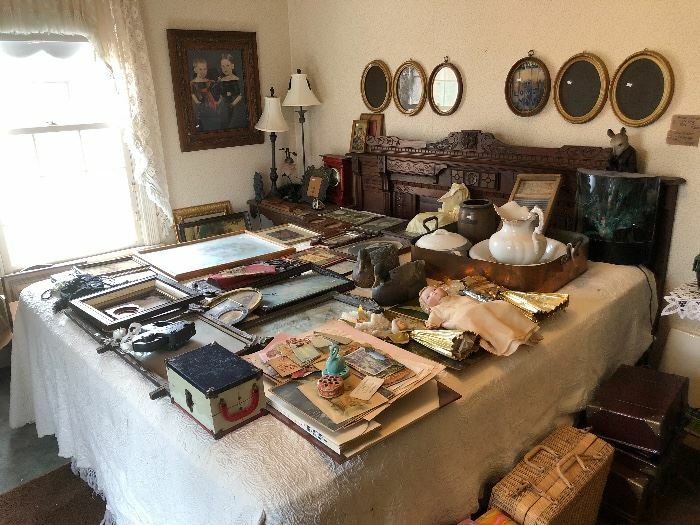 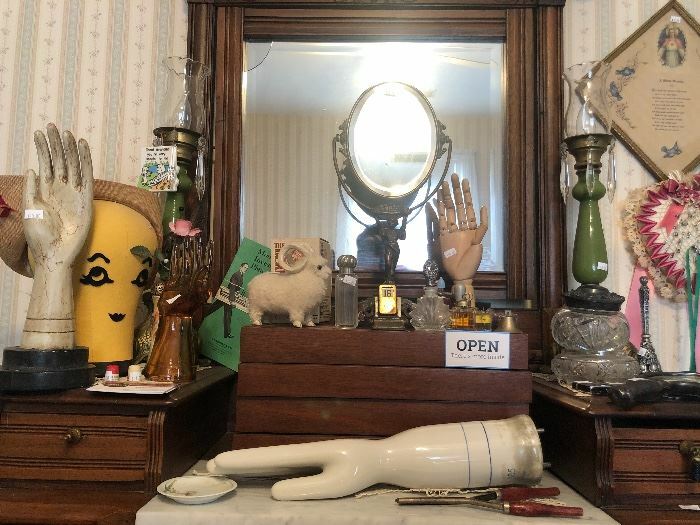 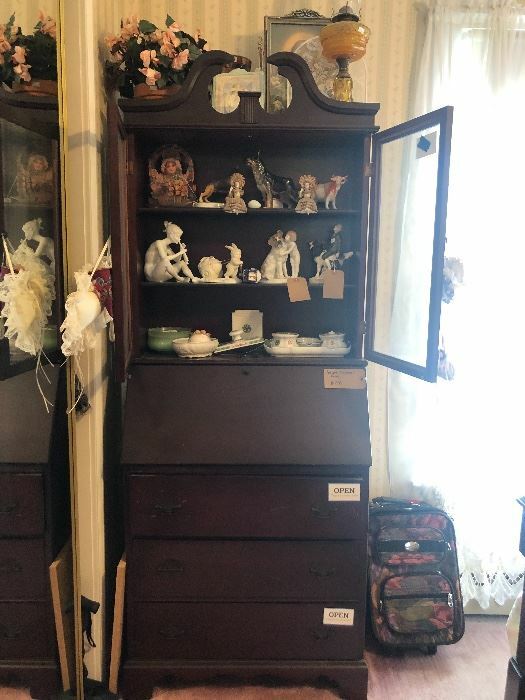 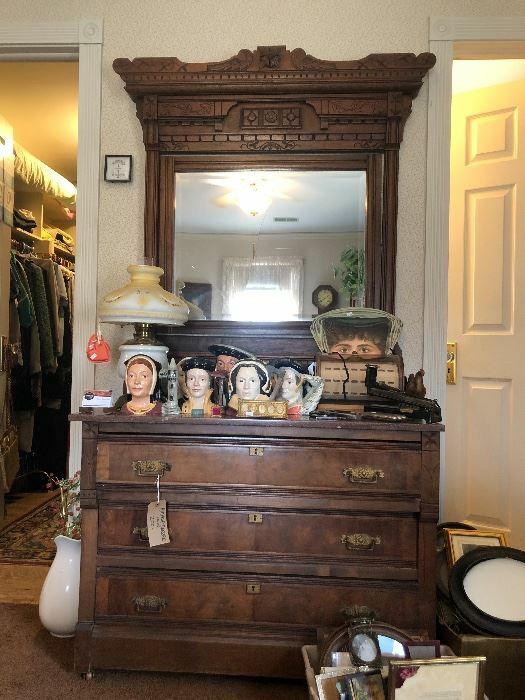 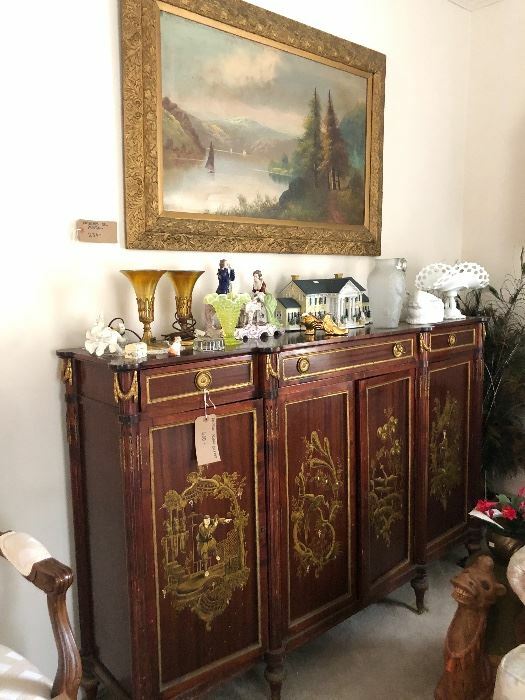 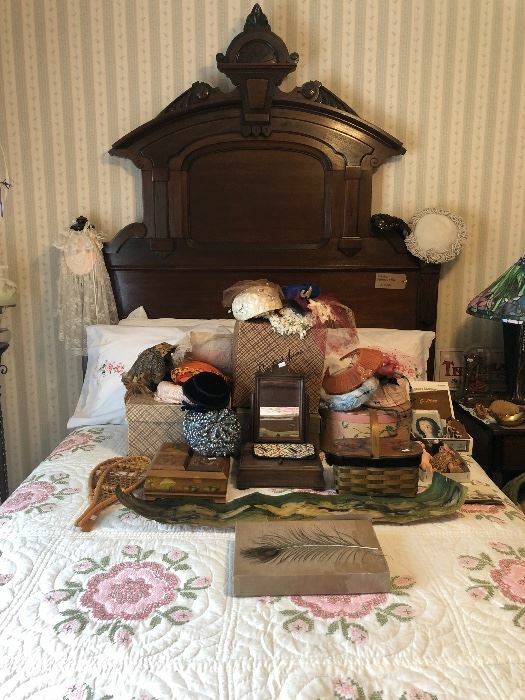 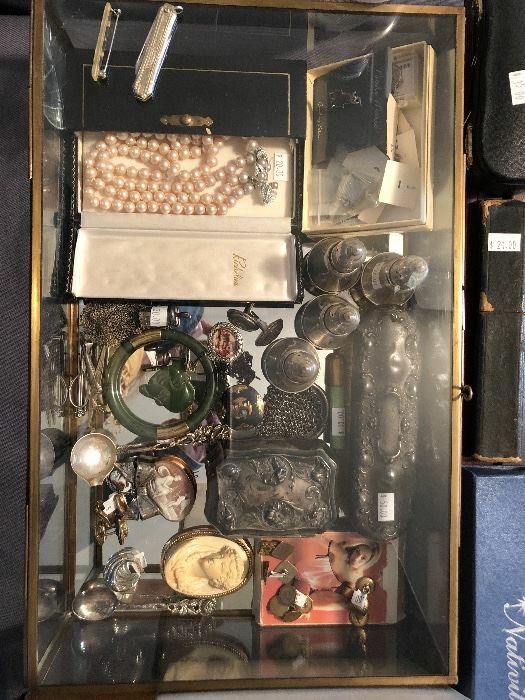 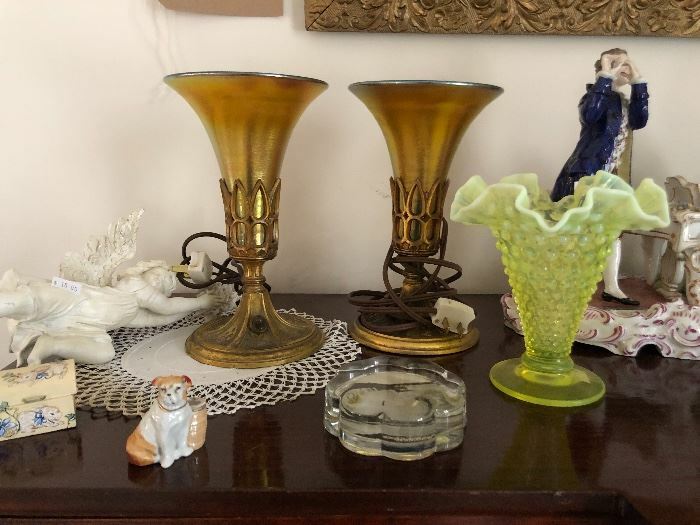 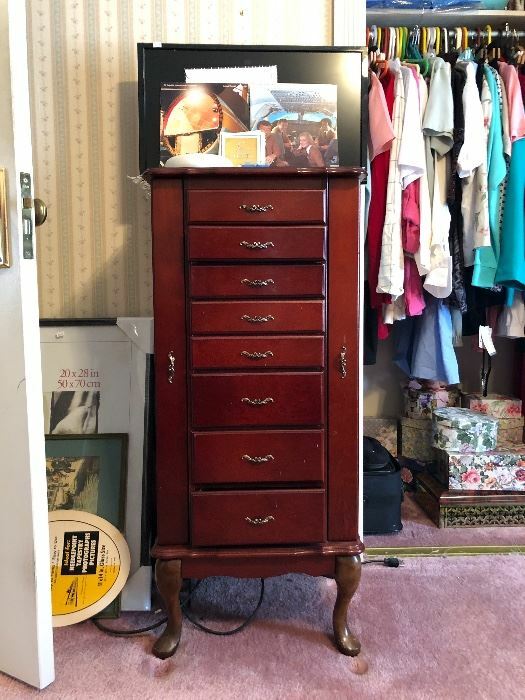 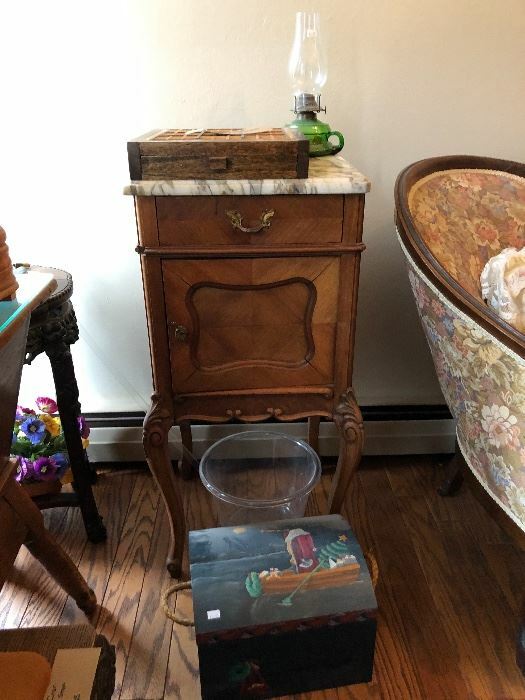 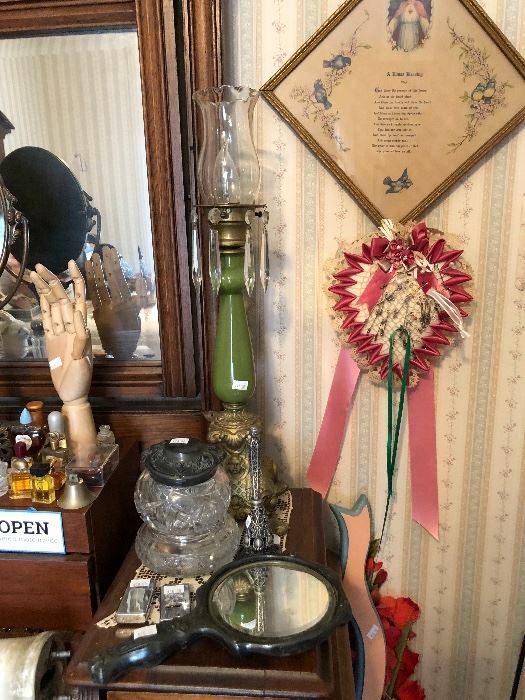 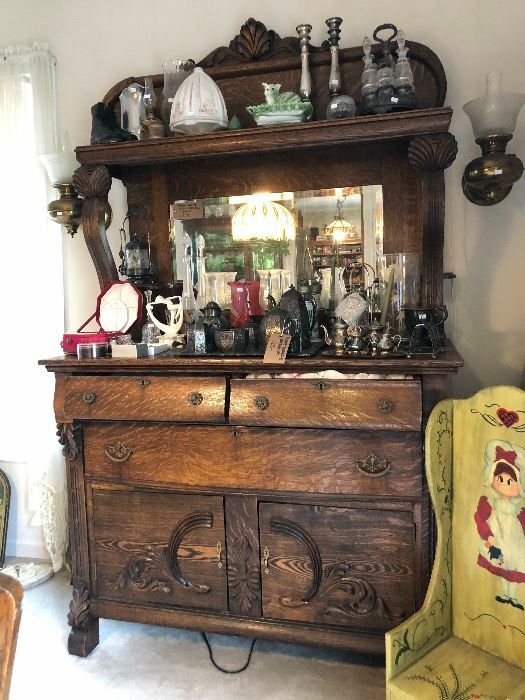 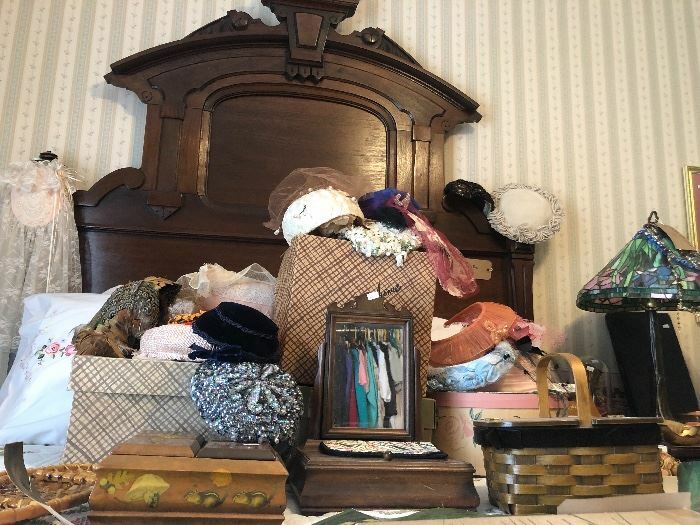 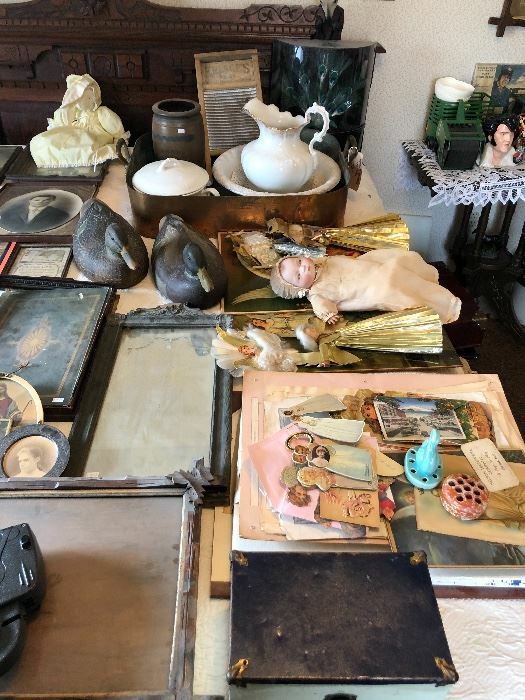 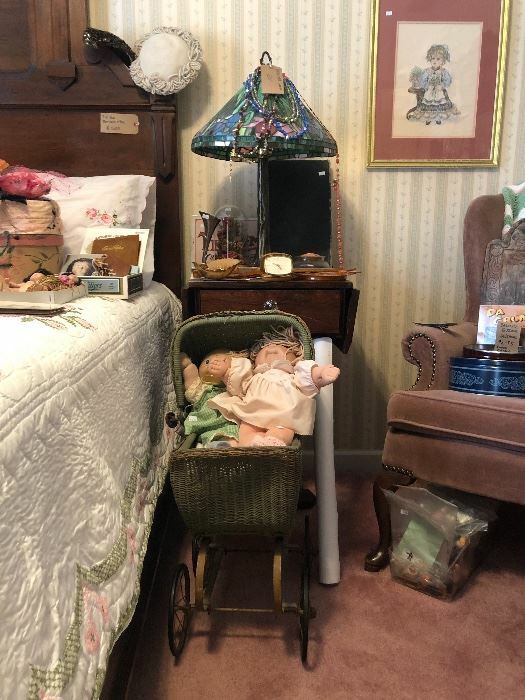 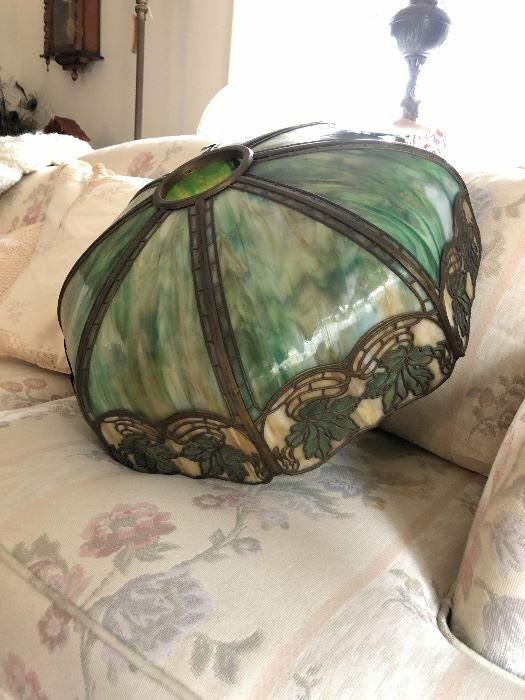 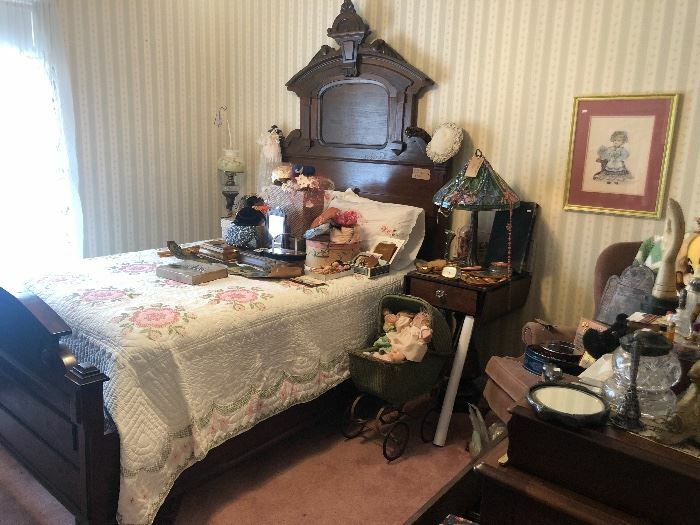 Antique Marble Top Dresser, Costume Jewelry, Perfume, Celluloid Vanity Set, Antique Dolls, Secretary Desk, Full Size Antique Bed, Tiffany Lamp, Vintage Clothing, and more. 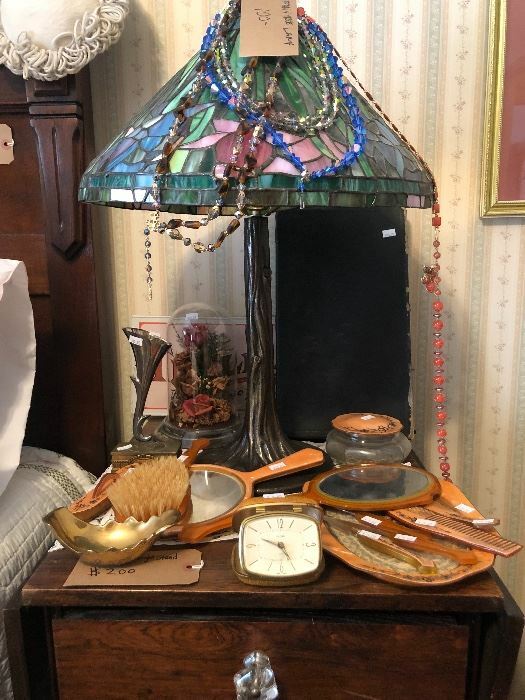 Bathroom: Seiko 18 Melodies Collectible Clock, Perfume, Stained Glass Divider, Light Fixture, Toiletries, and More. 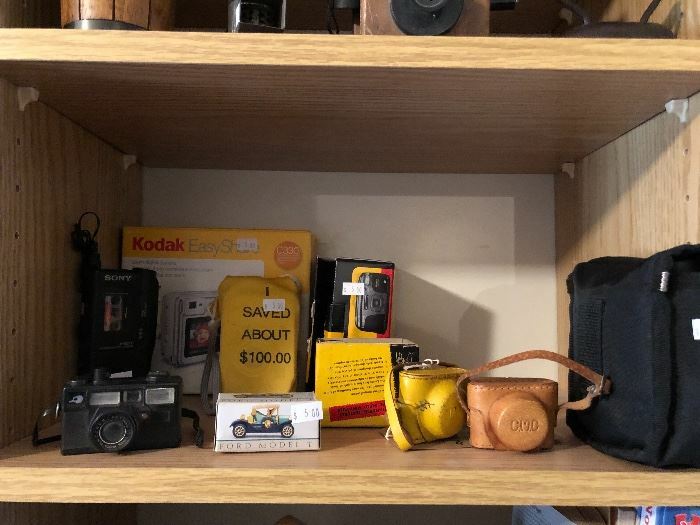 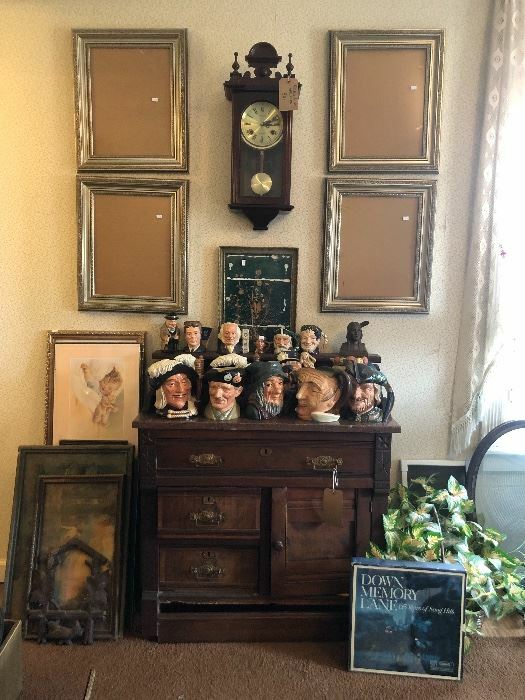 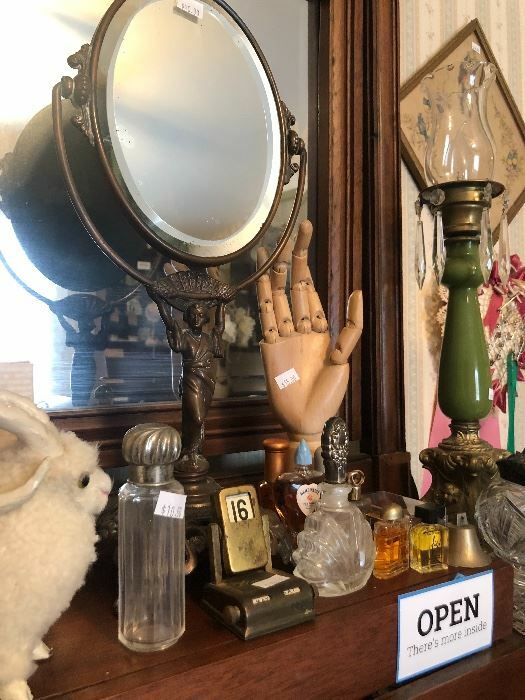 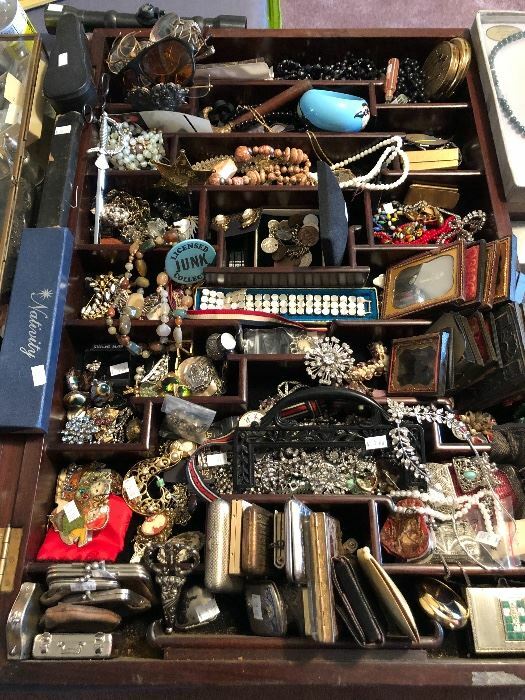 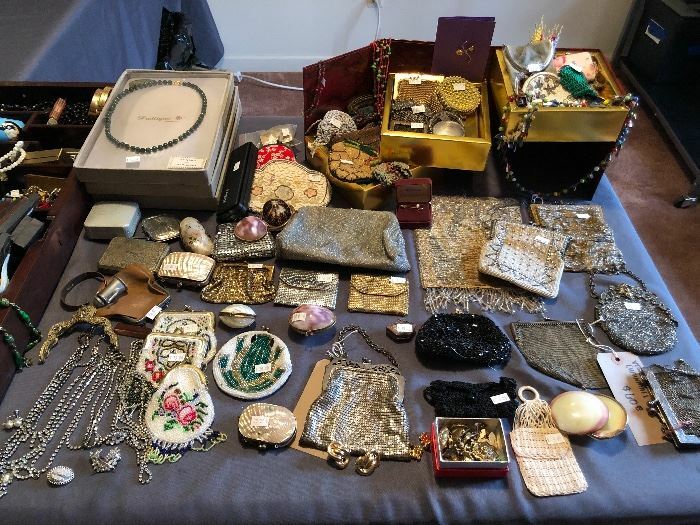 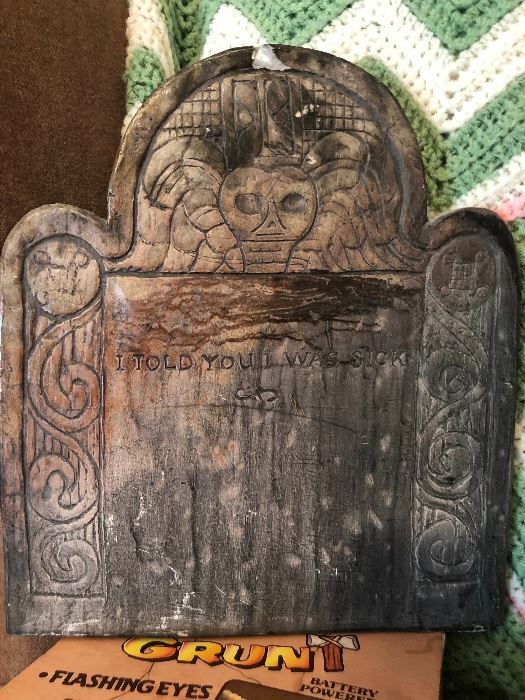 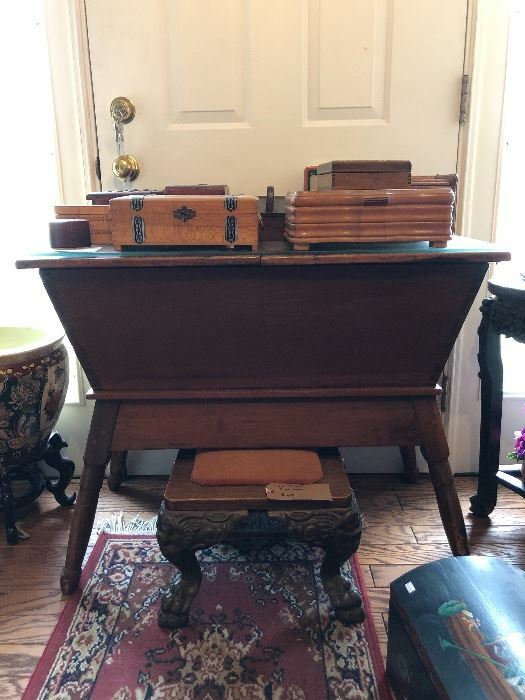 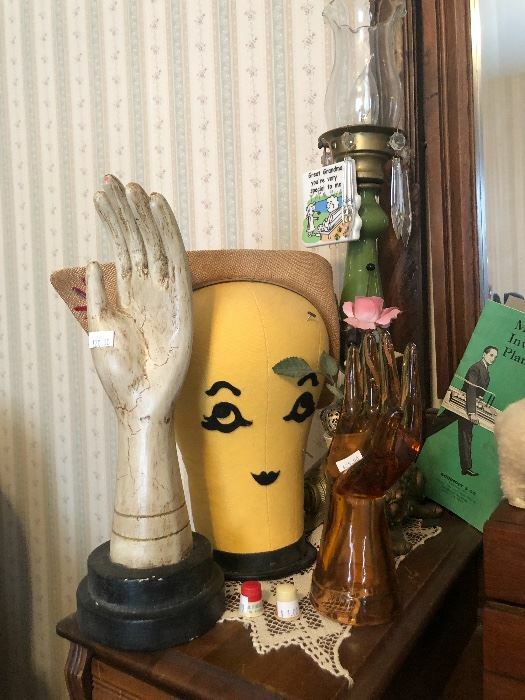 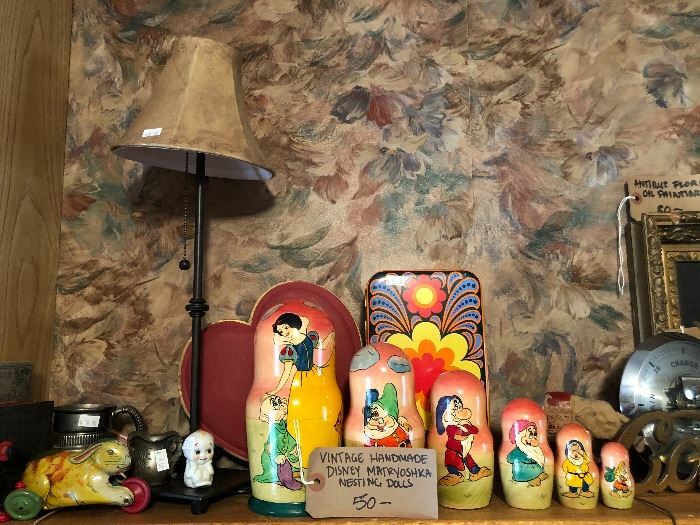 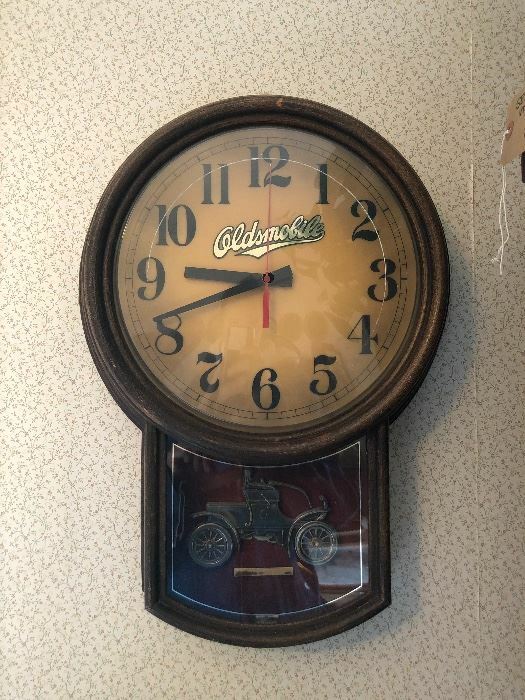 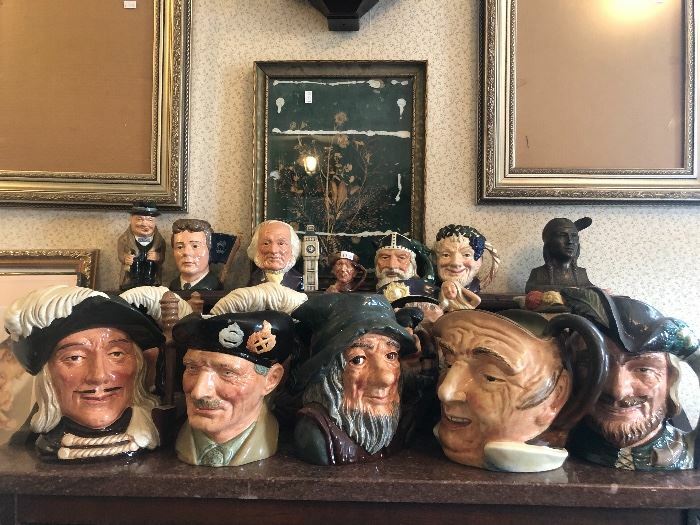 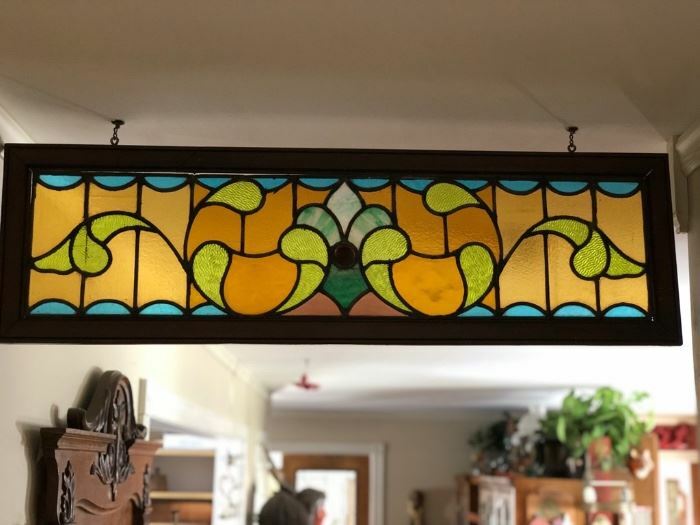 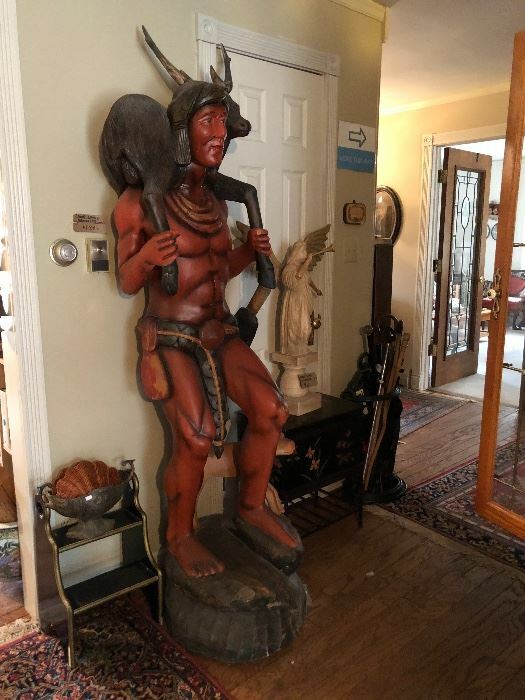 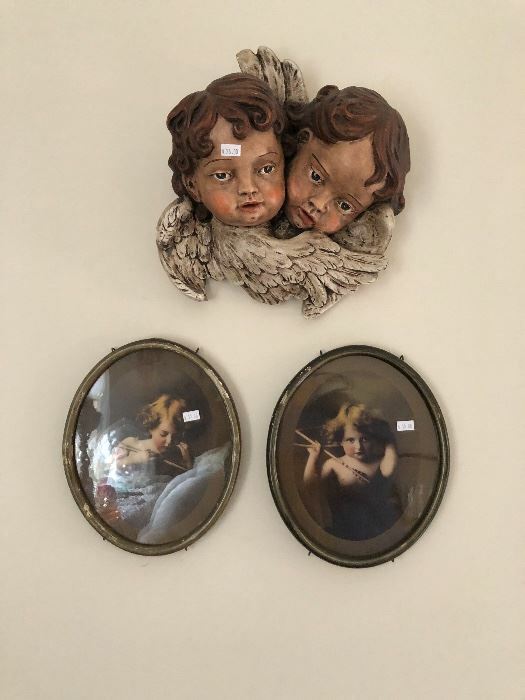 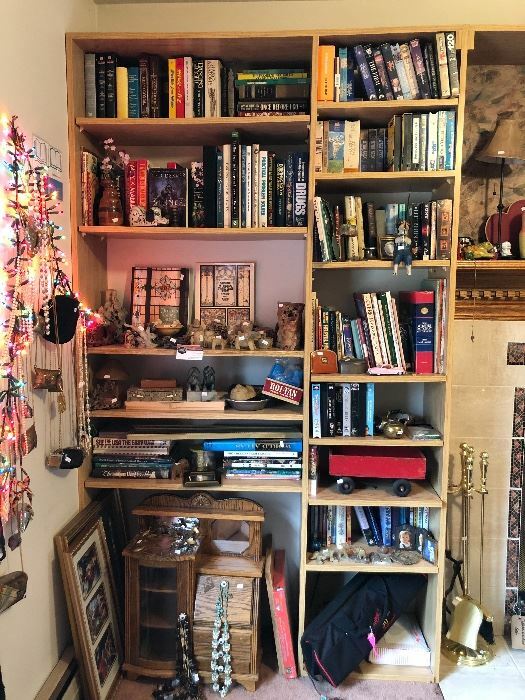 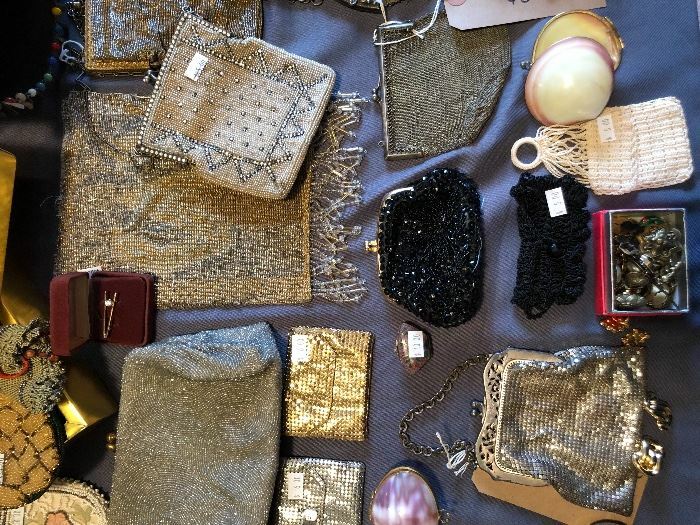 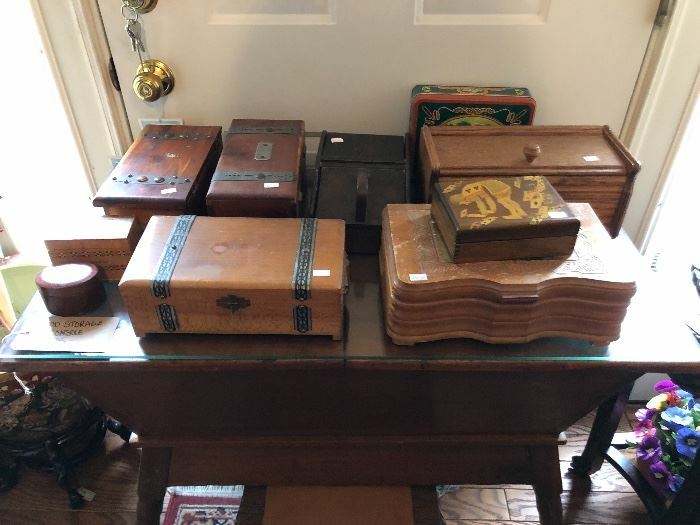 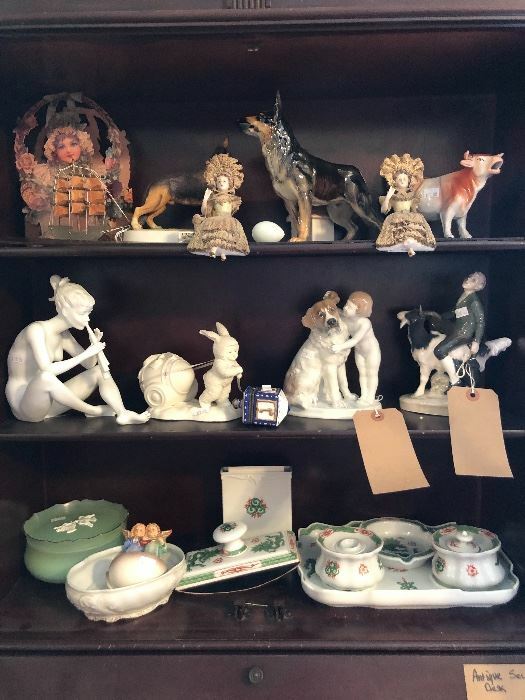 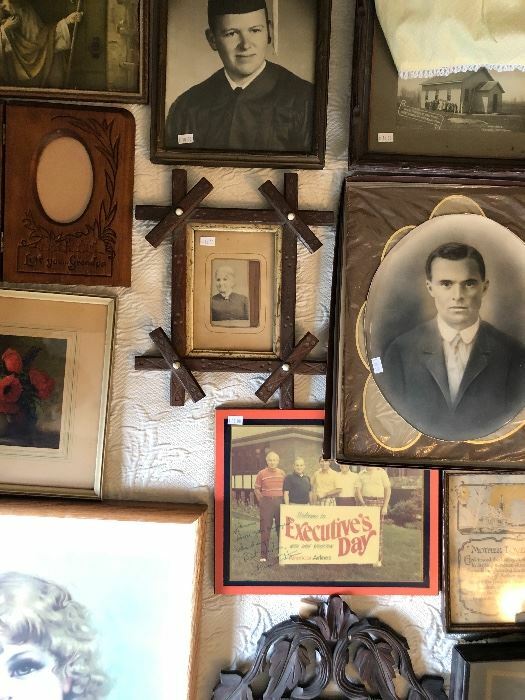 Books, Jewelry, Vintage Cameras, Vintage Miniature Toys, Art Deco Clocks & Lamps, Fireplace Tools, Carved Jade, Vintage & Antique Purses, Whiting Davis Purses, Antique Photos and Tintypes, Calumet Clock, and more. 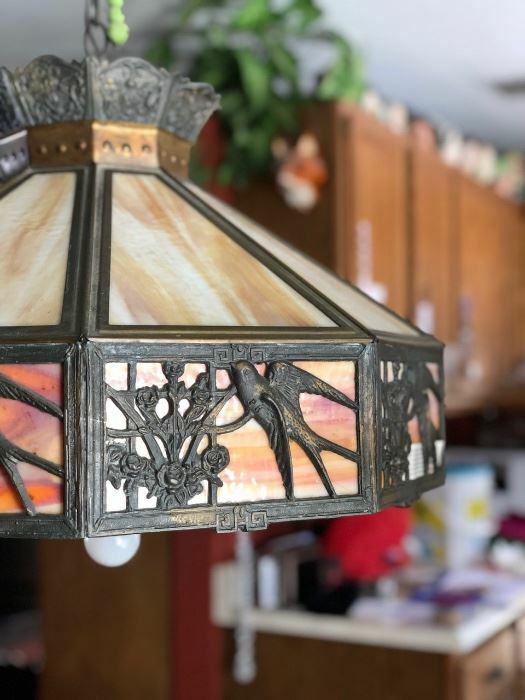 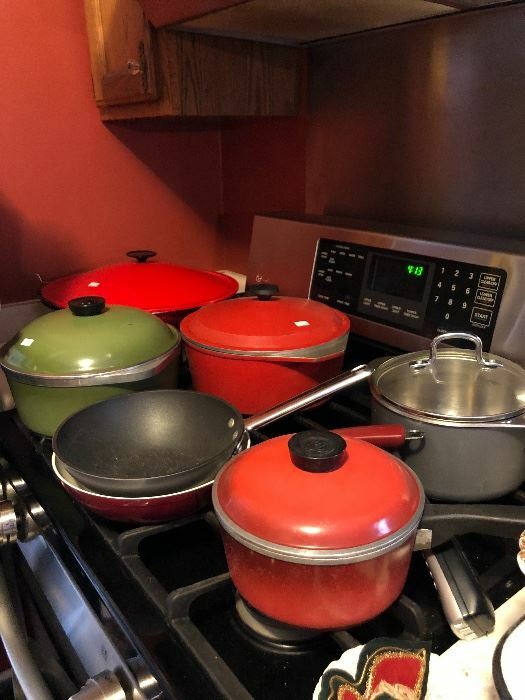 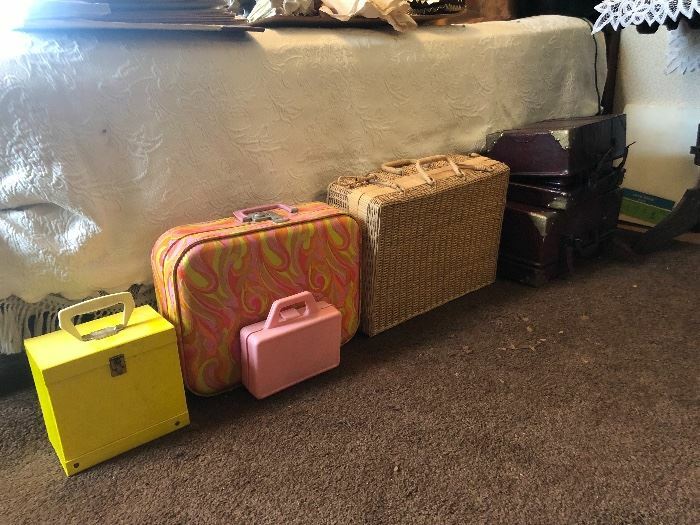 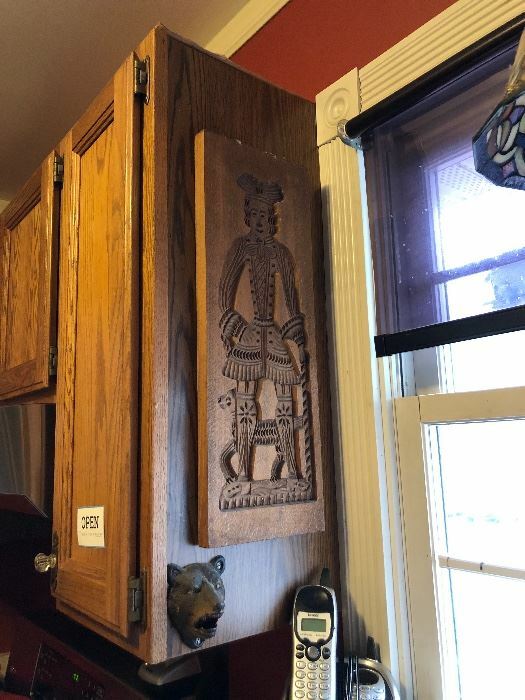 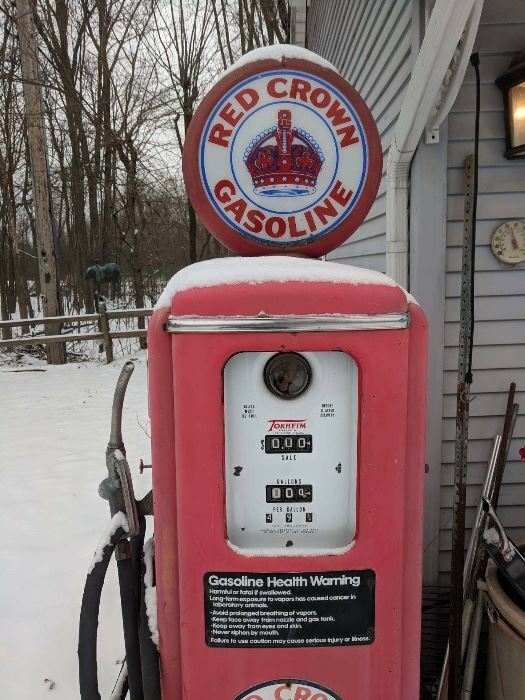 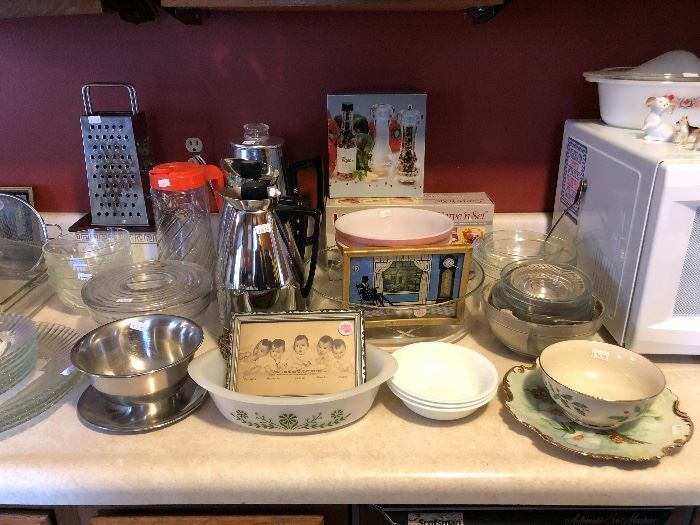 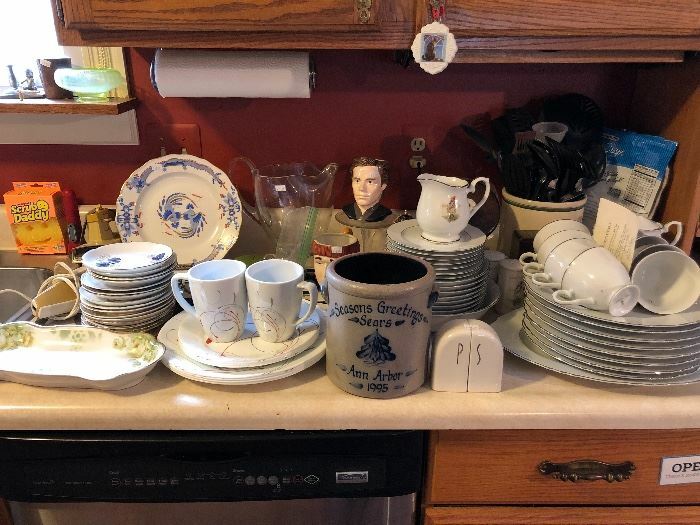 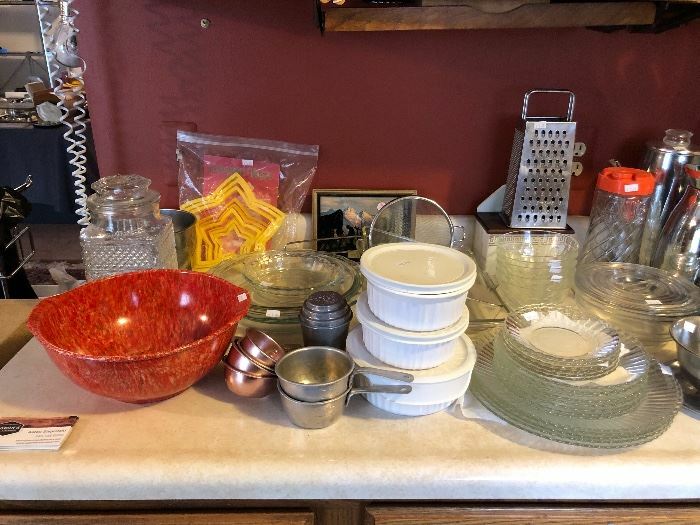 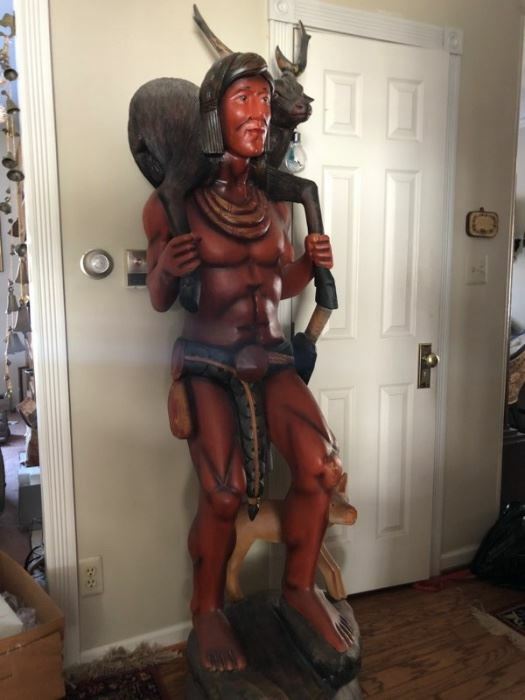 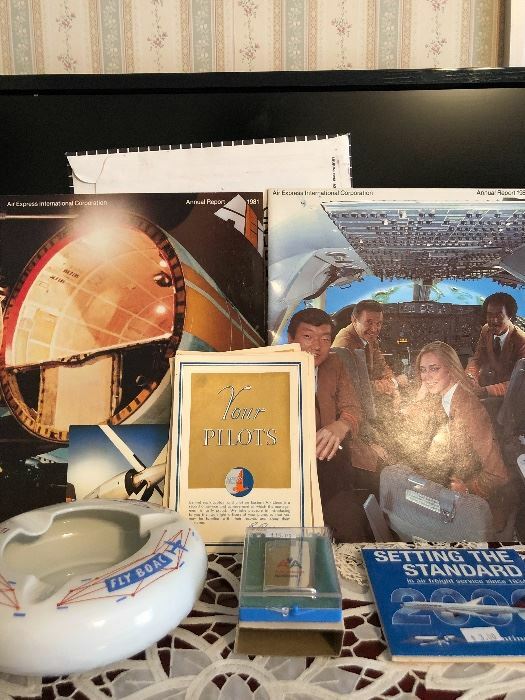 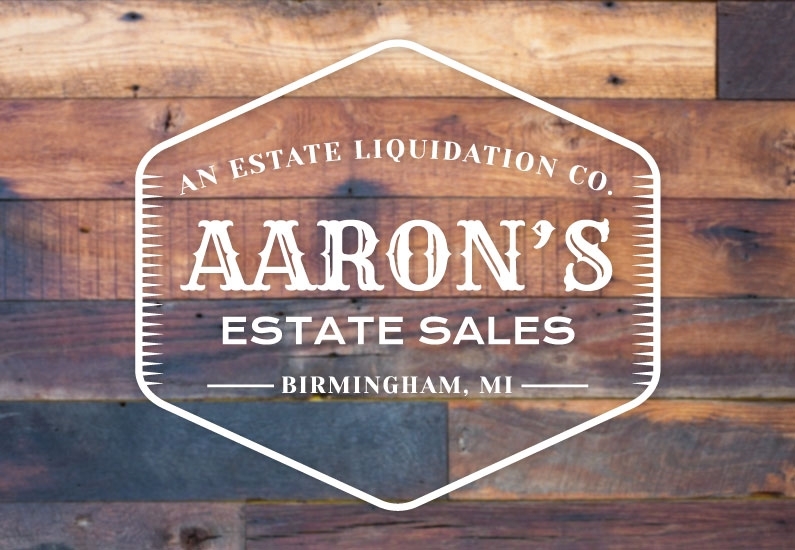 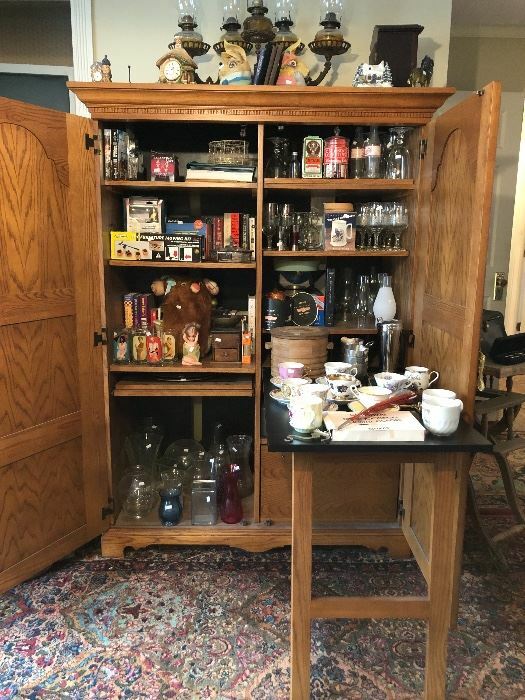 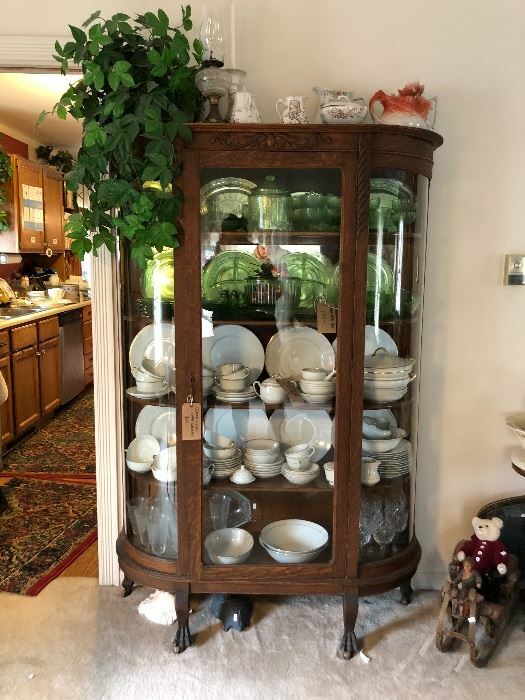 Club Cookware, Antique Enamelware, Assorted China, Vintage Scales, Glass and Barware, Lift Chair, Desk Hutch, Cigar Store Indian, Assorted Kitchen Items, and more. 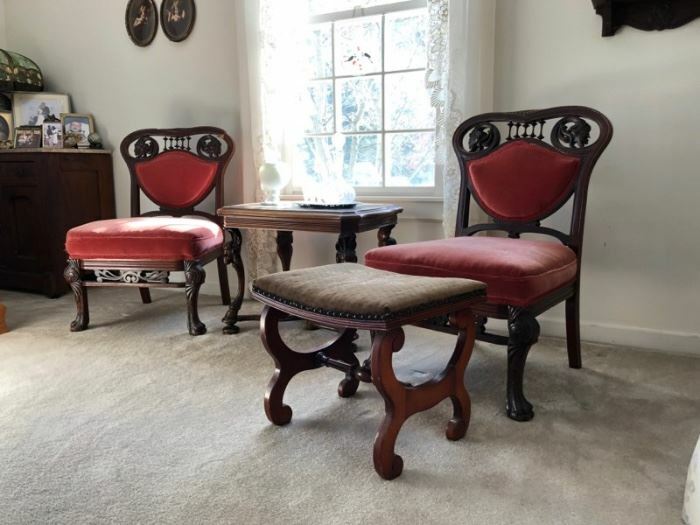 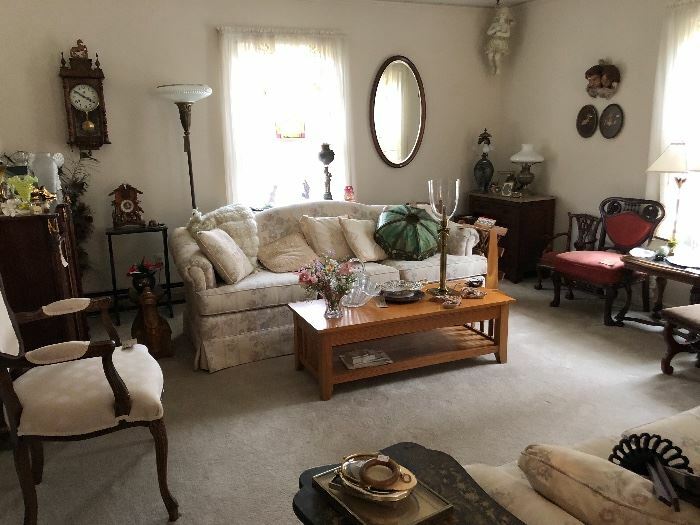 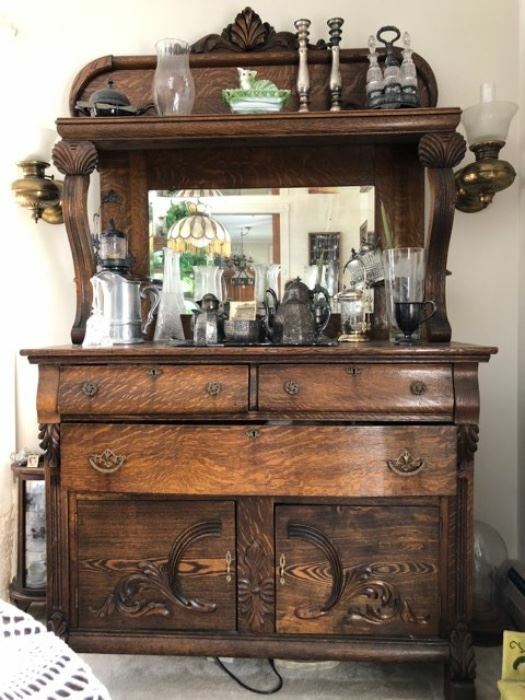 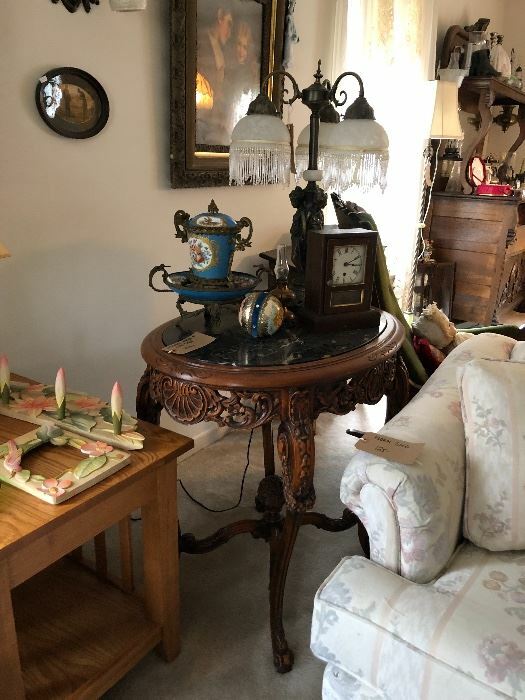 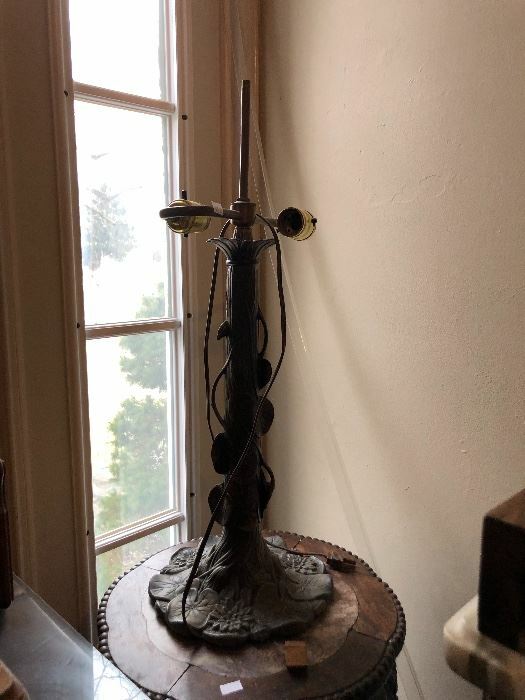 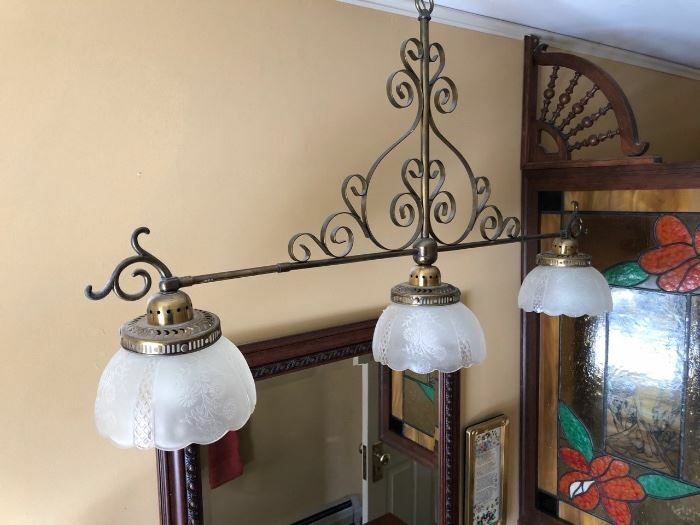 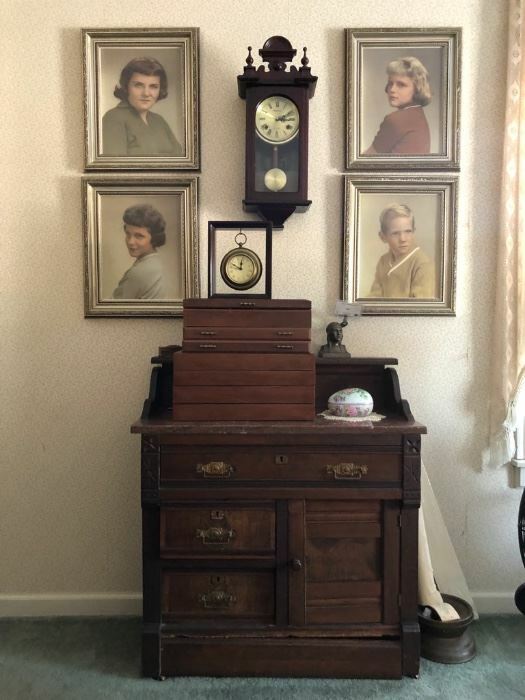 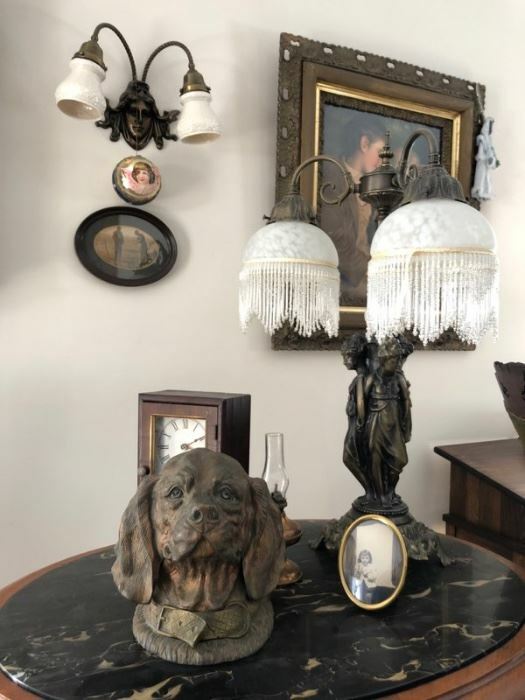 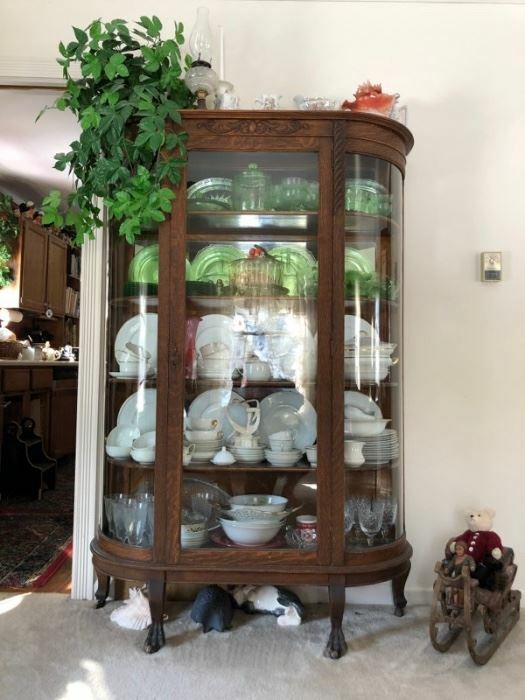 Living room: Antique Furniture, Asian Influenced Buffet, Antique Lamps and Light Fixtures, Drop Leaf Table, Handel Slag Lamp, Regulator Wall Clock, Green Velvet Rocking Chair, Silverplate Tea Server, Bell Jars, Cedar Chest, Tea Cart, Curved Glass Hutch, Nesting Tables, and more. 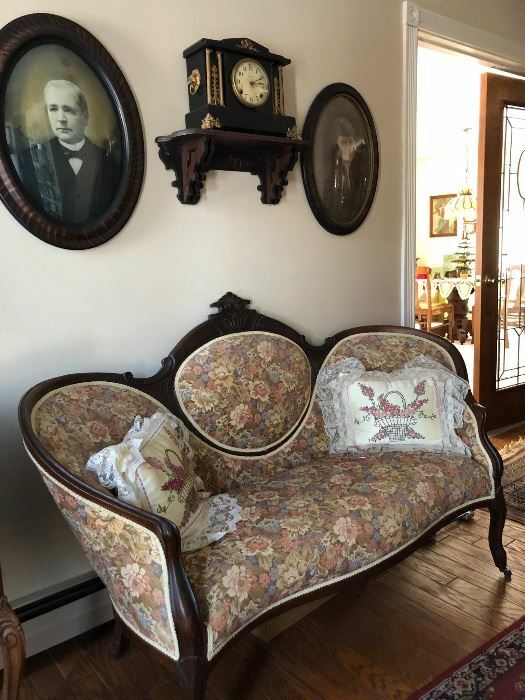 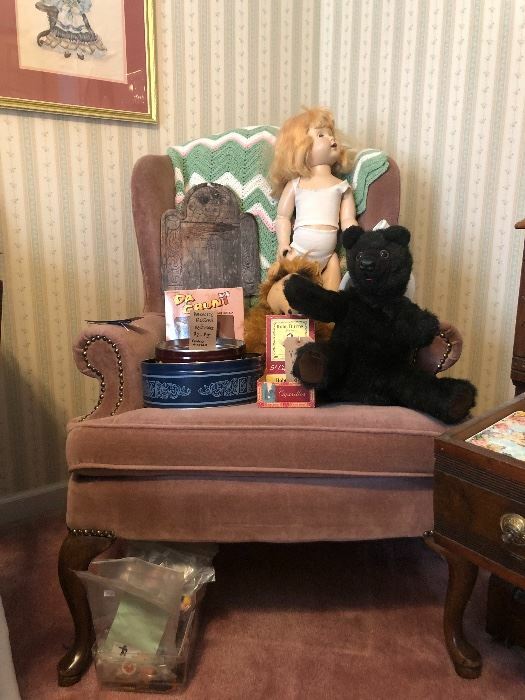 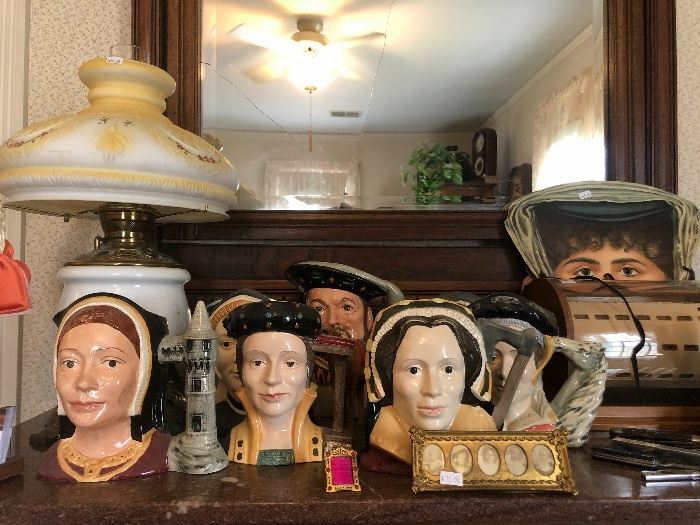 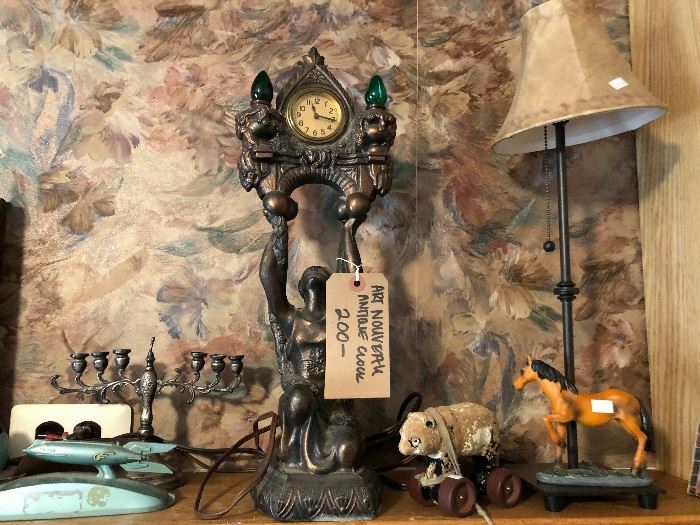 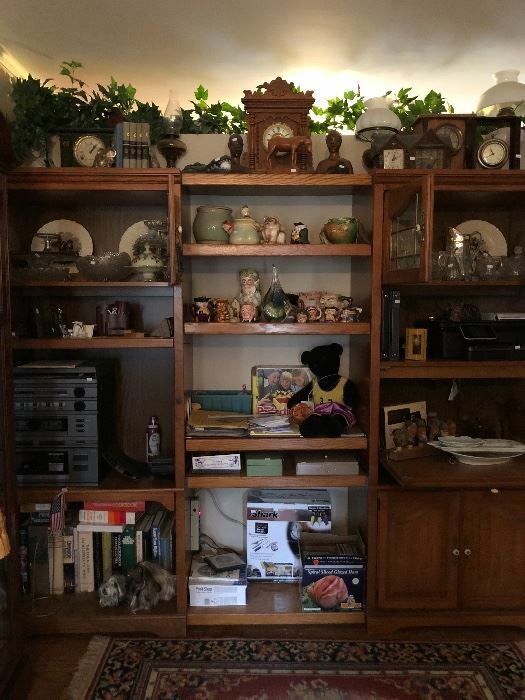 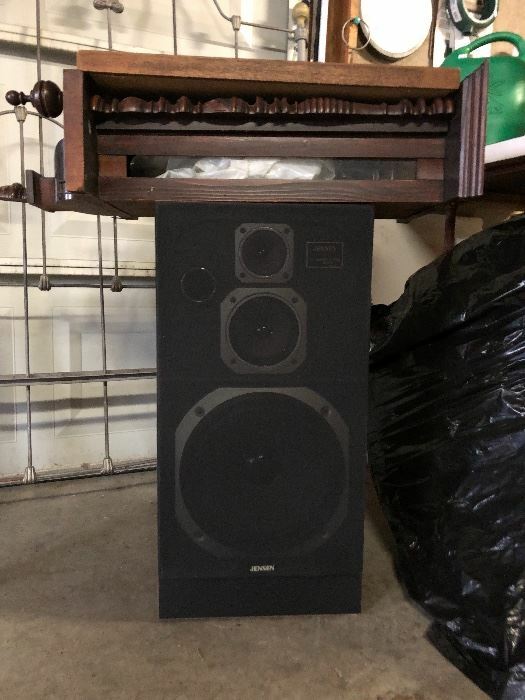 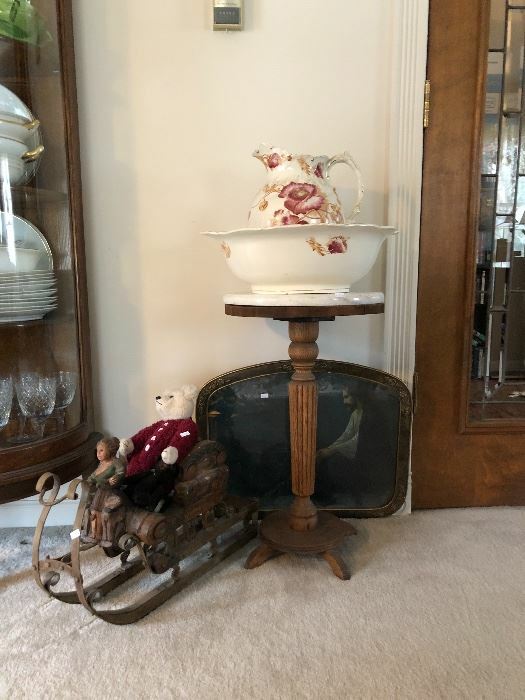 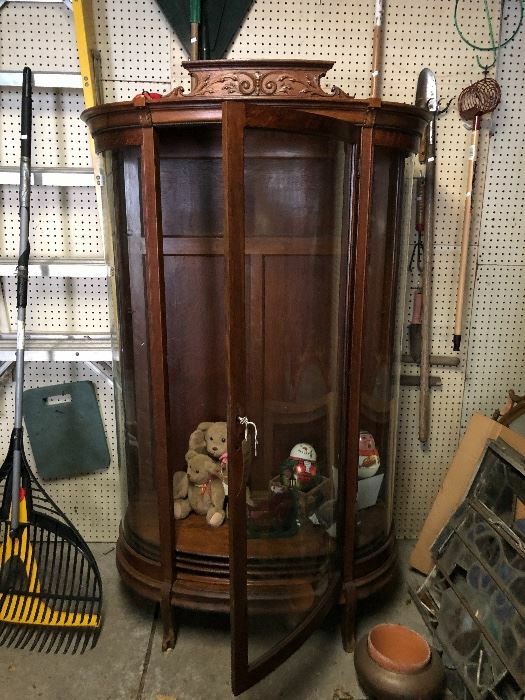 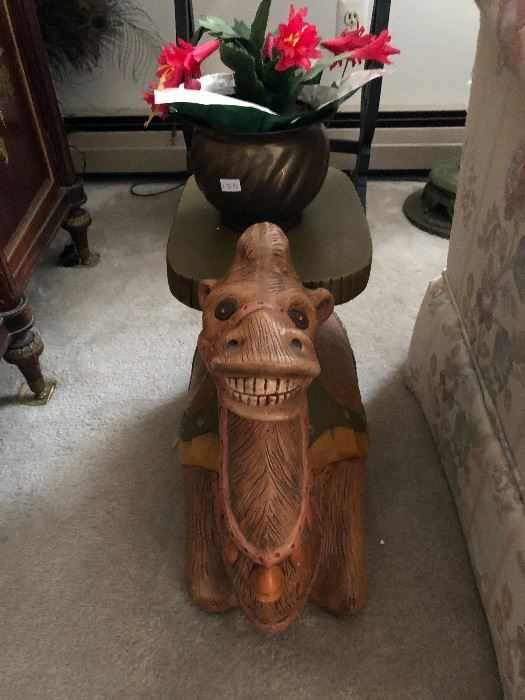 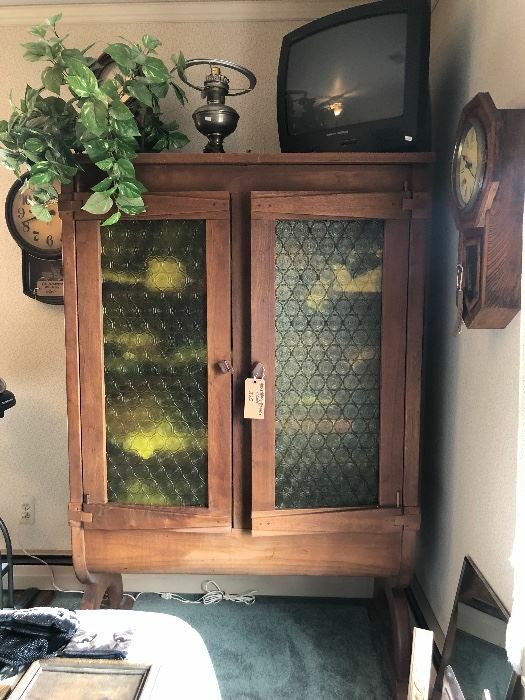 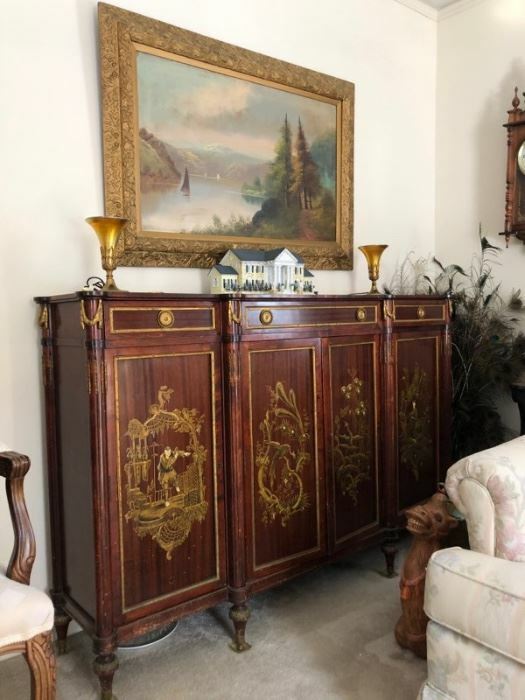 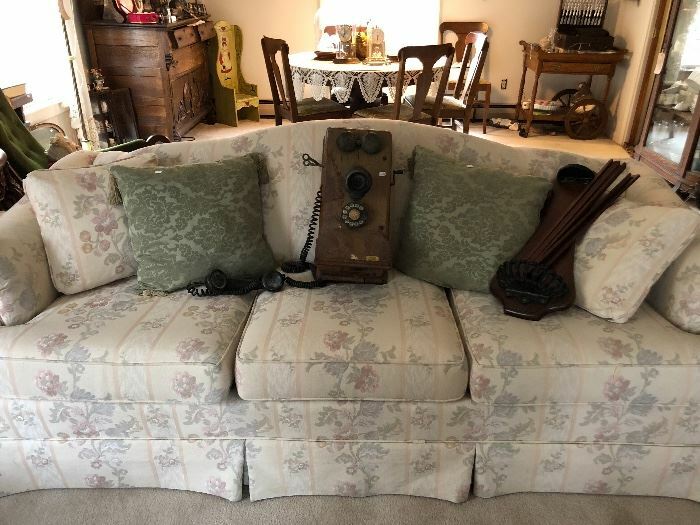 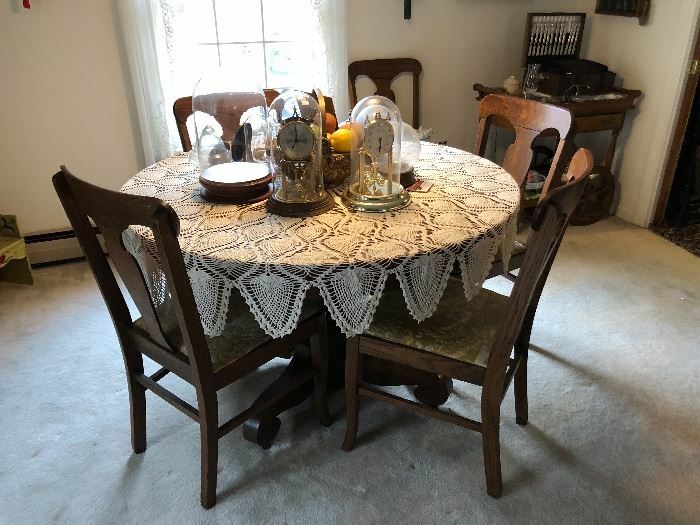 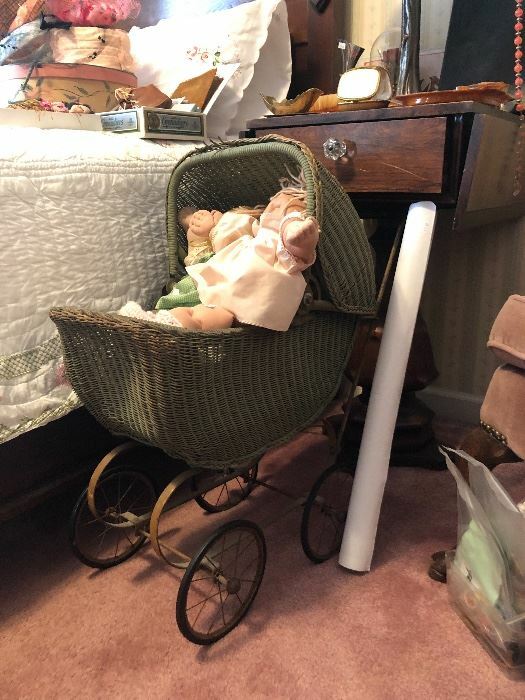 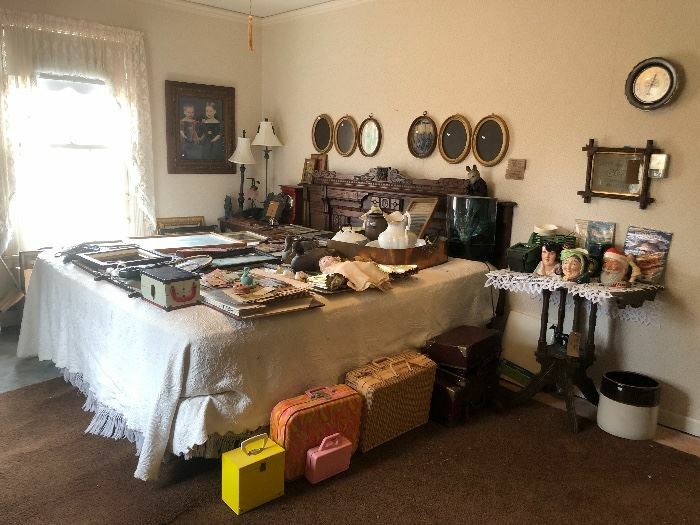 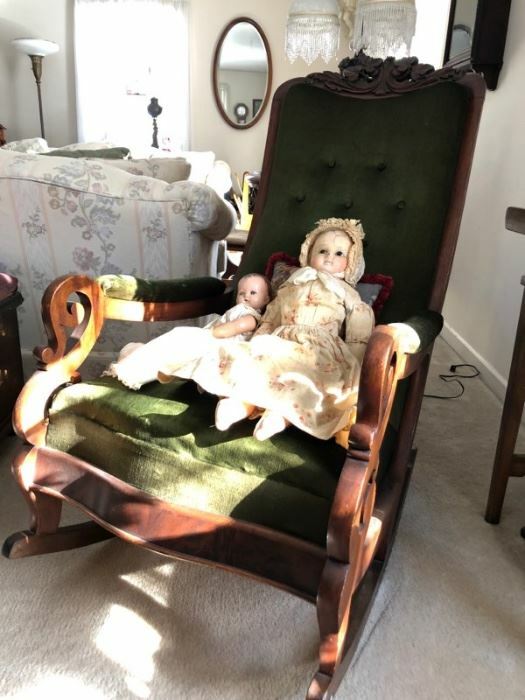 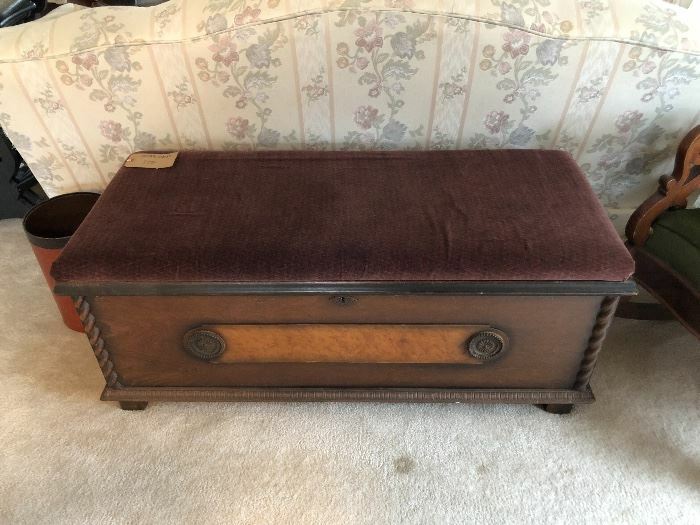 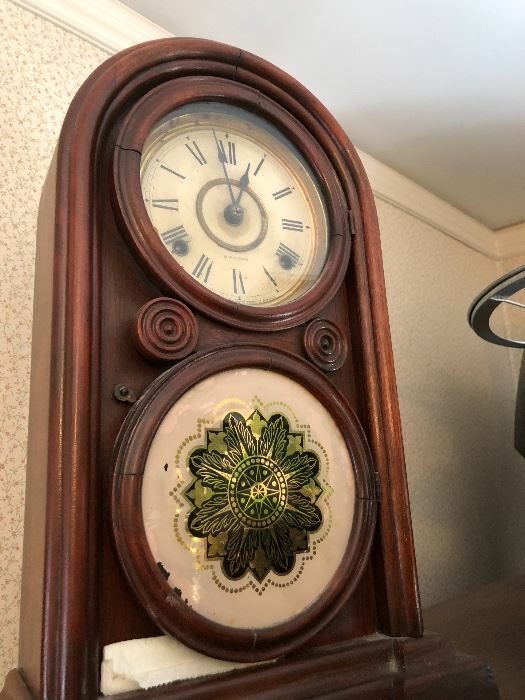 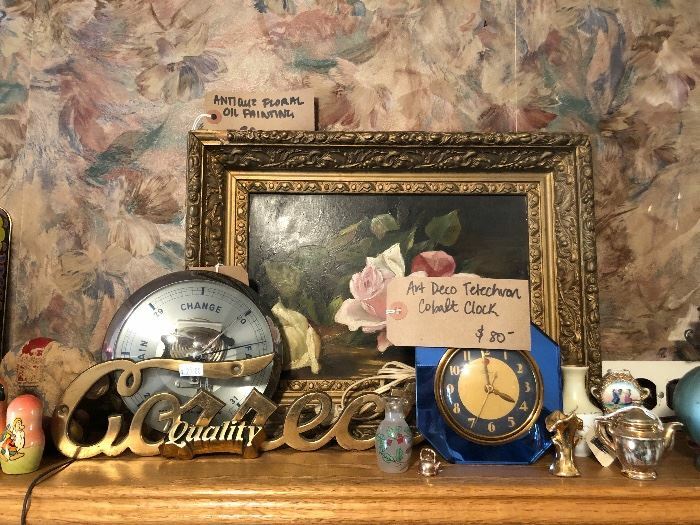 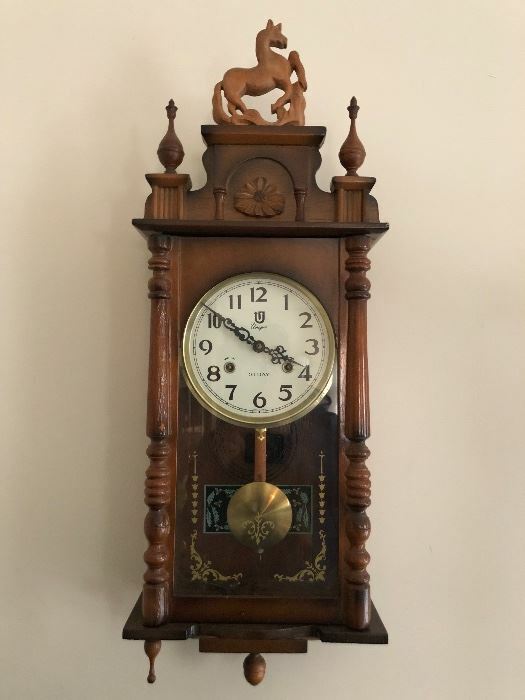 Victorian Sofa, Marble Topped Accent Table, Wood Storage Console, VHS and DVDs, Women's Outerwear, Holiday Decor, Roseville Pottery, Toby Mugs, Casio Stereo Music System, Assorted Vintage Clocks, HP Officejet, Carnival Glass, and more. 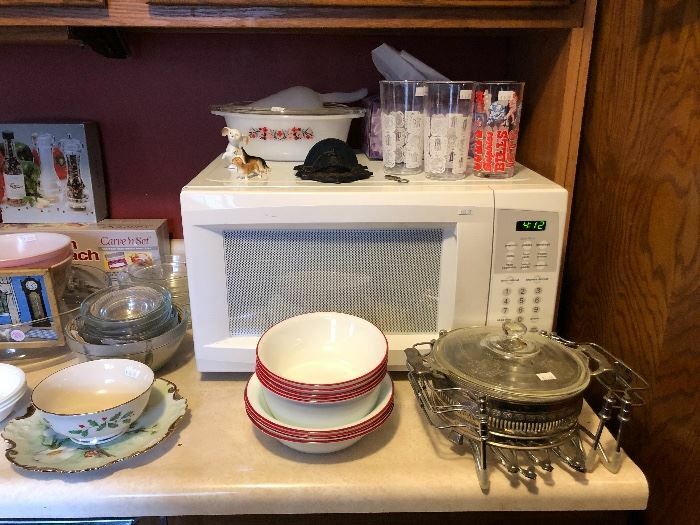 Christmas and other Holiday Decorations, Kitchenware,Arts&Crafts Accessories, TV/VCR Combo, Kitchen Table and much more! 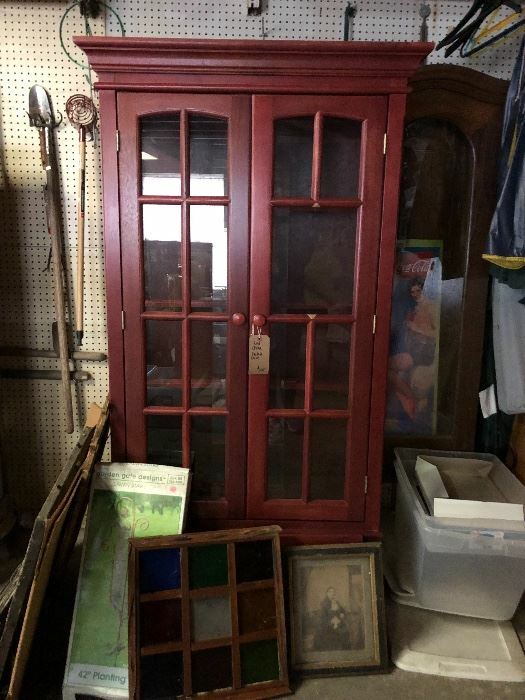 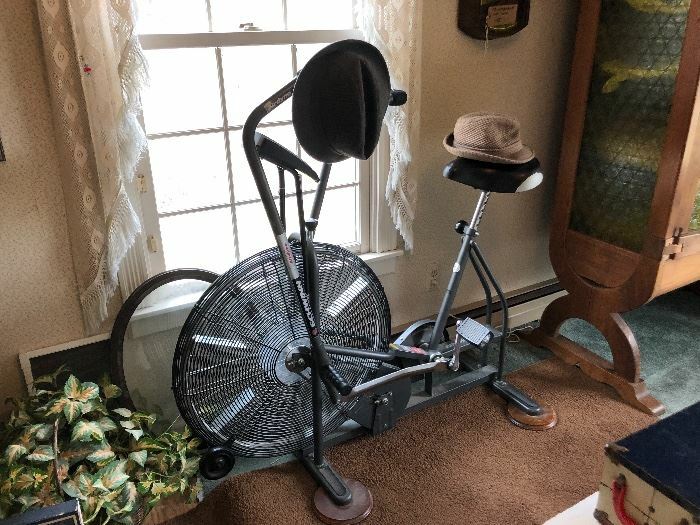 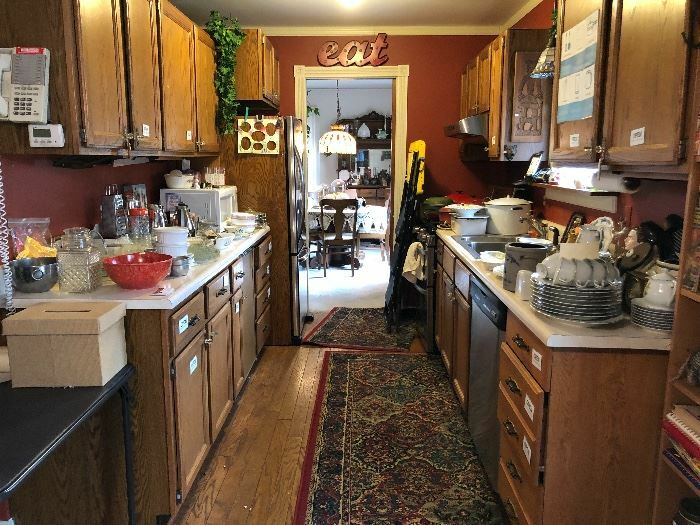 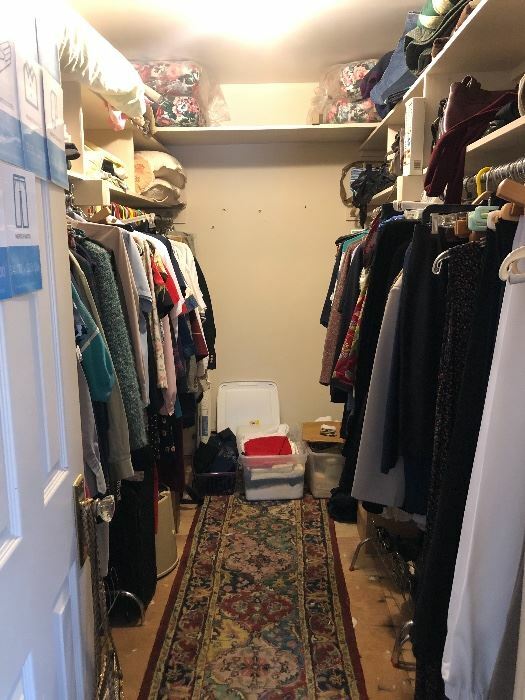 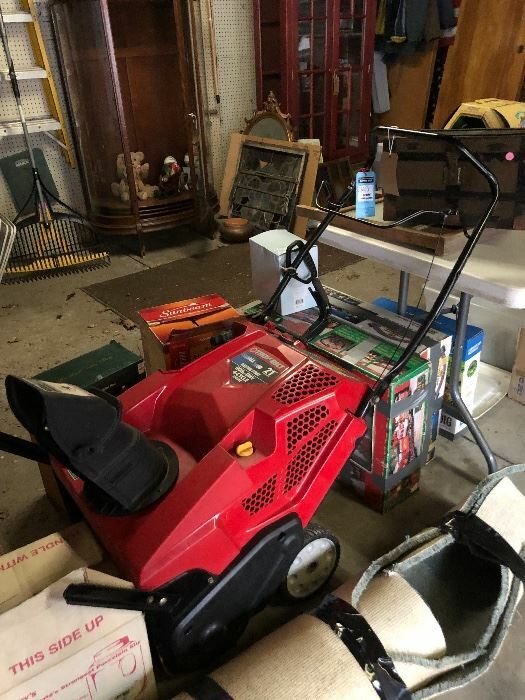 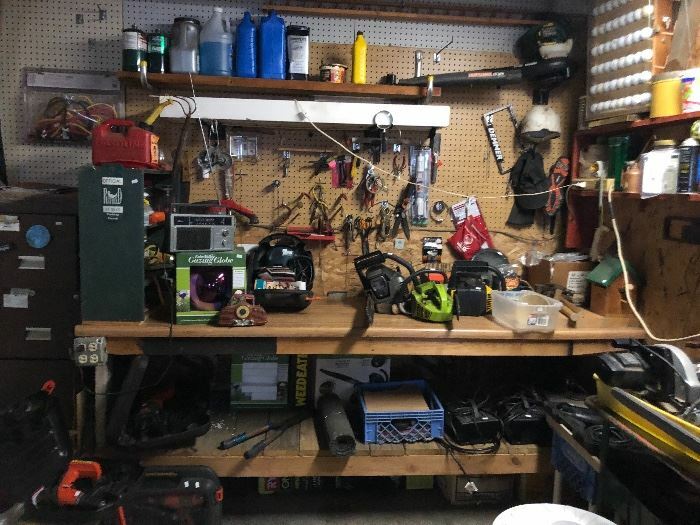 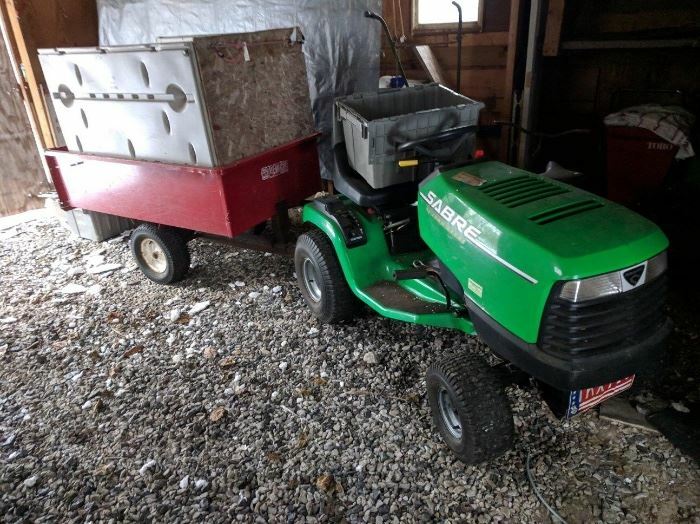 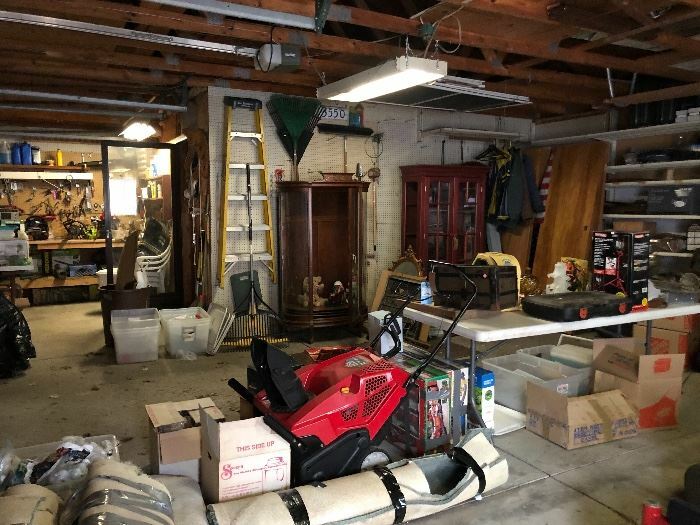 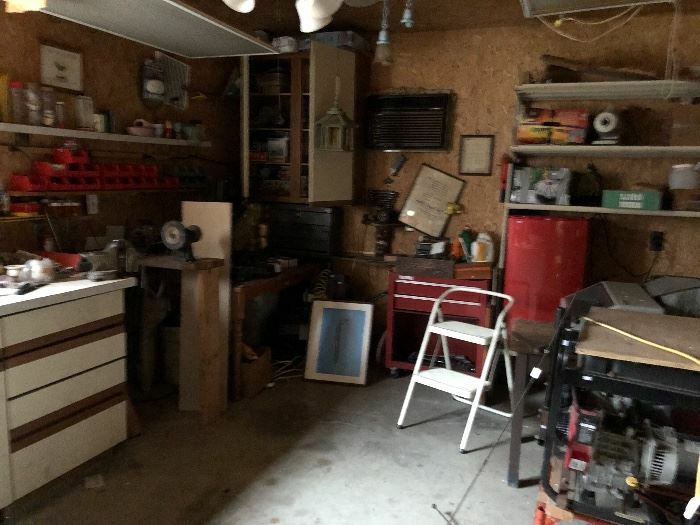 Snow Blower, Halogen Light With Tripod, Holiday Decorations, Red China Hutch, Antique China Hutch, Gardening Tools, Workbench with Tools, Chainsaw, Generator, Golf Clubs, Table Saw, Riding Lawn Mower with Trailer and much more! 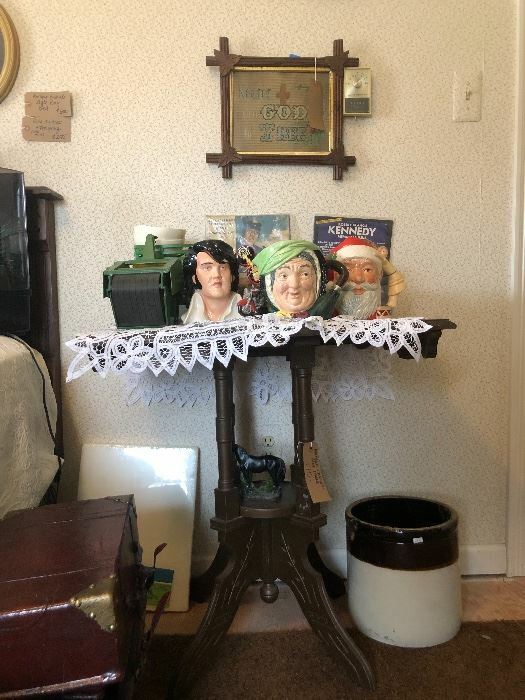 Wicker Furniture, Birdhouses,Wheelchair, Collectible Star Trek and Vintage Toys, Cannon Camera and much more!